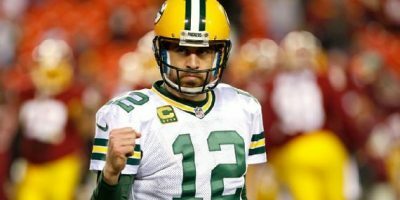 Per the NFL’s Brian McCarthy, Sunday’s late afternoon Green Bay Packers vs Washington Redskins game on Fox averaged 38.8 million viewers. The earlier Seattle Seahawks vs Minnesota Vikings game on NBC averaged 35.5 million viewers. The Redskins game was down 8 percent from last year’s equivalent game (Lions-Cowboys) that averaged 42.3 million viewers, but great numbers for both as Wild Card games go.